Ruth A. Good, 77, of Fishers, passed away on November 12, 2018 at her residence. Ruth was born on May 4, 1941 and was raised in Brown County, Indiana to the late Garland & Tressa (Hamblen) Ayers. Ruth is survived by her husband of 52 years: Jim Good; children and their spouses: Kimberly & Earl Wise, Connie & Lenny Bowman, Dawn Williamson, Nancy & Mike Hiatt, Natalie Wilkins; Bryan & Kim Good, Jeff Good; grandchildren and their spouses: Missy & Mike Partain, Lindsay & Jeremy Davis, Darrell & Melissa Melton, Jack & Becky Hiatt, Sara Hiatt, Stephen & Dulcie Overdorf, John & Lindsey Brooks, Nathan Brooks, Anna Good & Tyler Cox, Chris Good, Mike Williamson, Nick Williamson, Riley Williamson, Amanda & Scott Suter; great-grandchildren: Tanner & Erin, Mason, DeLaney, Harley, Max & Hayley, Kenzie, Wayne, Vincent, Lillian, Bryson, Blake, Kayli, Olivia, Hannah, Jeremiah, Benjamin, Kane, Grant, Benny, Carson, Prestin; great-great-grandson: Calin; siblings: Betty Shaw, Linda & Bob Purdy, Edna & Darrell Thomas, Maxine Melton, Janet Falte, Helen & Mike Gregg, Mike & Marilyn Ayers and a host of other family and friends. Ruth was preceded in death by her parents; son: Darren Williamson; 3 brothers: John, Robert, Garland Jr.; a sister: Mary Louise. 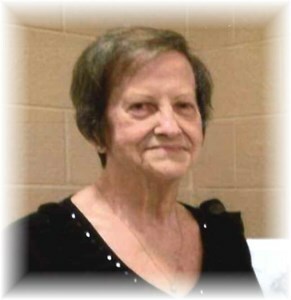 Visitation will be on Friday, November 16, 2018 from 11 A.M. until her Funeral Service at 1 P.M. at Newcomer - Indianapolis Chapel, 925 E. Hanna Ave., IN 46227. We will reconvene at the Mt. Zion Cemetery at 3:30 P.M. for her Graveside Service. To share a memory of Ruth or leave a special message for her family, please click the "Share Memories" icon above. Add your memories to the guest book of Ruth Good. I was saddened to hear of your great loss. Ruth was a special person. During this difficult time of grief I wished to offer a few words of comfort found at john 5:28,29. There it offers us the hope of seeing our loved ones again. Please know your family is in my thoughts and prayers. Ruth and I were friends for over 40 years. She was one of the dearest people in the world to me, and I thank God for placing her in my life. She was always such a blessing! I will love and miss her. My prayers are with Jim and the family at this very difficult time. Always good memories of Ruth Ann. She was so pretty and nice. Memories of going to school at Van Buren where she was our cheerleader one year. Memories of her growing up on Gravel Creek. Our sympathy and love to all of her family.